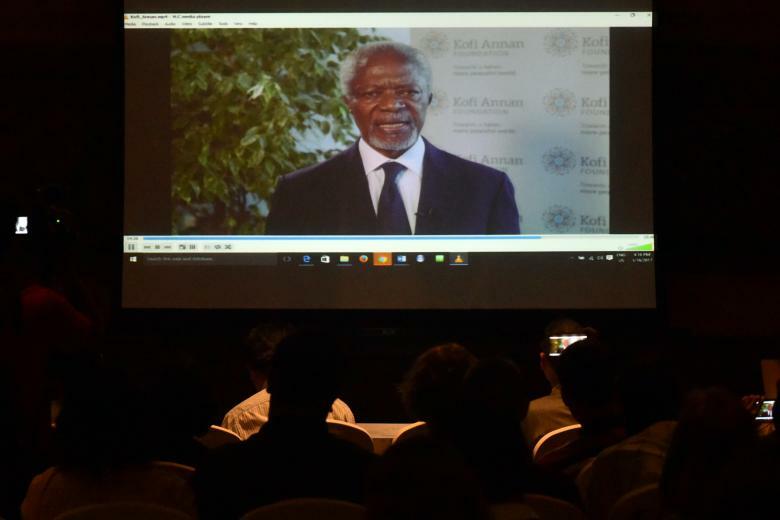 YANGON -- Myanmar should immediately start letting Rohingya Muslims return home and ultimately close rundown camps for the displaced in its western Rakhine state, a panel led by former U.N. chief Kofi Annan said on Thursday. More than 120,000 people, mostly Rohingyas, have been living in what were meant as temporary shelters for internally displaced persons (IDPs) since bouts of communal violence roiled the state in 2012. "It’s really about time they close the camps and allow the people in the camps, particularly those who have gone through the (citizenship) verification process, access to freedom of movement and all rights of citizenship," Annan told Reuters by telephone from Geneva. Hundreds of displaced people, whose return home would be feasible and safe, should be moved back "immediately, as a first step and sign of goodwill," the panel said. The office of Myanmar leader Aung San Suu Kyi welcomed the proposals. The panel urged the government to reconsider a failed program to verify Rohingyas for Myanmar citizenship and begin mapping the restrictions on movement by both Rohingya Muslims and their Buddhist neighbors in Rakhine. Residents complain of a system of checkpoints in parts of the state and widespread extortion by officials at roadblocks. Months after taking power last year in a transition from decades of military rule, Suu Kyi appointed Annan in August to lead the advisory commission. The nine-member panel was asked to propose solutions to the Rakhine State problems within a year, but put forward interim recommendations on Thursday that will test her commitment, questioned by many abroad, to improve conditions for Rohingya. In a statement issued within hours of the recommendations being published, Suu Kyi's office said the government "concurs with the recommendations and believes that these will have a positive impact on the process of the national reconciliation and development". Most of the recommendations would be "implemented promptly," the office said, while "a few will be contingent upon the situation on the ground". The work of the six Myanmar and three international commissioners was made more challenging in the early hours of Oct. 9, when armed Rohingya men launched coordinated attacks on border guard posts, killing nine police and seizing weapons and ammunition. The commission called for an "independent and impartial" investigation into a subsequent crackdown by security forces in the northern part of Rakhine, but stopped short of backing calls for a full United Nations-led commission of inquiry. "We have made recommendations that can be implemented now and help improve the situation," Annan added, saying he hoped the government would act quickly to "stem the deterioration of relations between communities and between the government and the Muslim community in Rakhine." About 1.1 million Rohingya Muslims are denied citizenship in Myanmar, with their movement and access to services restricted. Many in the Buddhist-majority country view them as unwanted immigrants from Bangladesh. The government must restart registration of Muslims births in Rakhine, almost completely halted since 2012, the panel said. "It is not natural in any country of the world that a newborn baby does not have a birth certificate," panel member Ghassan Salame said.